Congrats to Donna Tartt & Little, Brown and Company! We want to give a BIG SHOUT OUT to Little, Brown and Company! They invited us to be part of their Book Club Insiders and sent us copies of The Goldfinch for our members. THANK YOU LITTLE BROWN!!! Book Summary: Thirteen-year old Theo Decker's world is turned upside down when he loses his mother in a tragic bombing at the Metropolitan Museum of Art. It's during this traumatic event that he comes into possession of a highly-sought-after painting, the Goldfinch, which changes the course of his life. This epic story of loss and survival, obsession and reinvention sweeps the reader up with its vivid characters captivating suspense. We had very split votes as far as ratings. As we discussed the reasons for this, we figured out that some people wanted to rate certain sections of the book much higher than other sections, which could be attributed to the length of the book. It seemed like the very beginning and the ending generated the highest reviews from our group. Our Book Review: We kicked the evening off by "visiting" the Metropolitan Museum of Art (Picture Recap I), then having Goldfinch Mocktails while we all took turns masquerading as Xandra/Sandra for her driver's license photo (Picture Recap II). The movie producer responsible for The Hunger Games, Nina Jacobson, has acquired the rights for the movie adaptation of The Goldfinch. YAY! We searched around online and pooled the actors/actresses that those in-the-know were recommending (to see the full spread of choices for each character, check out our Power Point Presentation). Since we are obviously qualified, we voted! …….the DELICIOUS READS PICKS for The Goldfinch Movie! We decided that Rachel Weisz has the charming-young-mother thing down. Theo was thirteen when she would be in it, so Rachel would fit as his mother. Plus she's just so likable. 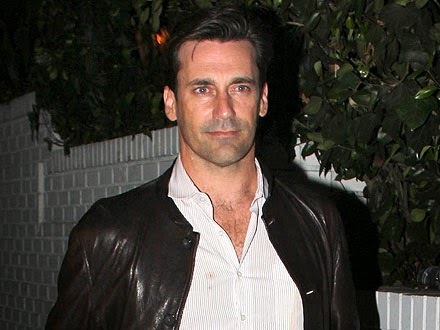 Who better to play Theo's handsome, washed-up actor dad than John Hamm? We know he's had enough practice on Mad Men with the alcohol and he can convey stress well. John- it's all you, buddy. After seeing Taryn Manning on the hit Nextlix series "Orange is the New Black" (as the religious crack-head Pennsatucky) we know playing Xandra wouldn't scare her off. We felt like she would be able to bring Xandra to life… XANDRA WITH AN X! 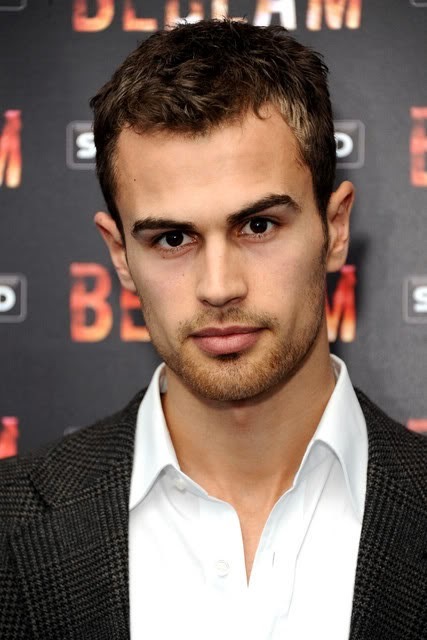 Theo to play Theo right? While he may be a little more handsome than how Theo is portrayed in the book (let's face it… Theo James is ridiculously good-looking), we felt like he would be able to infuse the stress that Theo feels throughout the book into his character. We picked Jenna Malone for Pippa. We felt like she could portray both younger and older Pippa and she has that kind of understated beauty that can be toned down or ramped up. She has petite features which fits with Pippa and we felt like she could have that hauntingly-sweet-but-just-out-of-reach Pippa-ness. There's just no one who can do young, high society, honey-sweetness like Leighton Meester. Golden-up those locks and we'll be good to go. We love us some Gossip Girl. 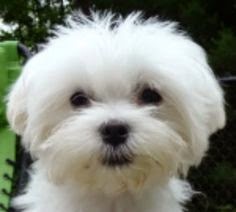 Ok, Hobie is another one we wrestled with. 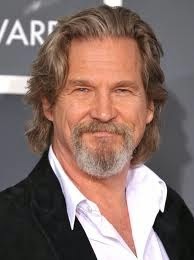 Of the three recommended choices we went with Jeff Bridges, but we're still not 100% sure. Later a few of us came up with some alternatives- Ian McClenllan, Donald Sutherland or Anthony Hopkins… what's your vote? We picked the lovely Gweneth because we felt she could really do a younger, immaculate Mrs. Barbour and then also a more fragile version of herself in the later years after she's been through everything. 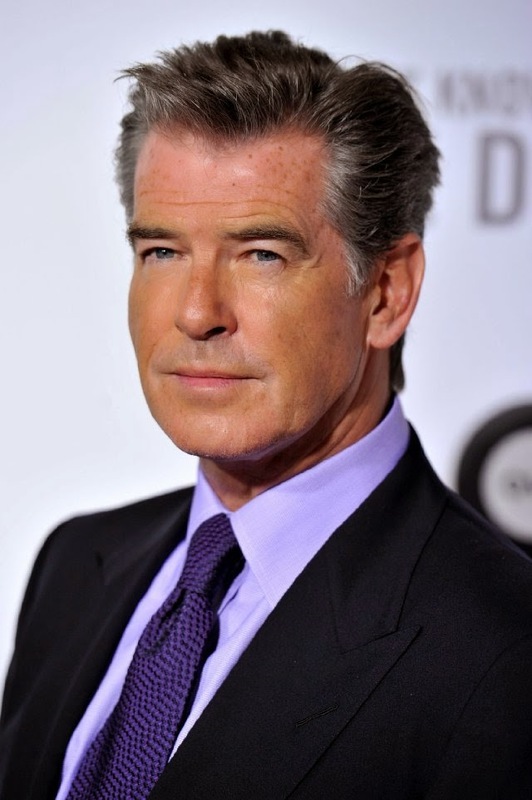 We picked the handsome Pierce Brosnan to play the part of Mr. Barbour. We decided he would be able to talk for hours about the sea with Andy and he can convey that old-money ritz. He and Gweneth would portray the perfect Barbour duo. And of course we had to have a casting call for Popchick! 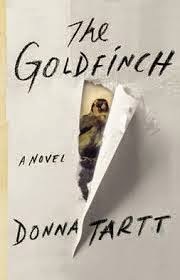 Donna Tartt recently won the PULITZER PRIZE for the Goldfinch! We learned that Donna Tartt was born in Mississippi in 1963 and went to The University of Mississippi and Bennington College in Vermont. She has written for The New Yorker, Harper’s and The Oxford American. She lives with her two pugs and a Boston Terrier and divides her time between Manhattan and Virginia. She has written three books: The Secret History (1992), The Little Friend (2003) and The Goldfinch (2013). She won the WH Smith Literary Award for The Little Friend and the Pulitzer Prize for the Goldfinch. She was also just named to the Time 100, the most influential people of 2014. You can see her only AMERICAN TV INTERVIEW HERE. 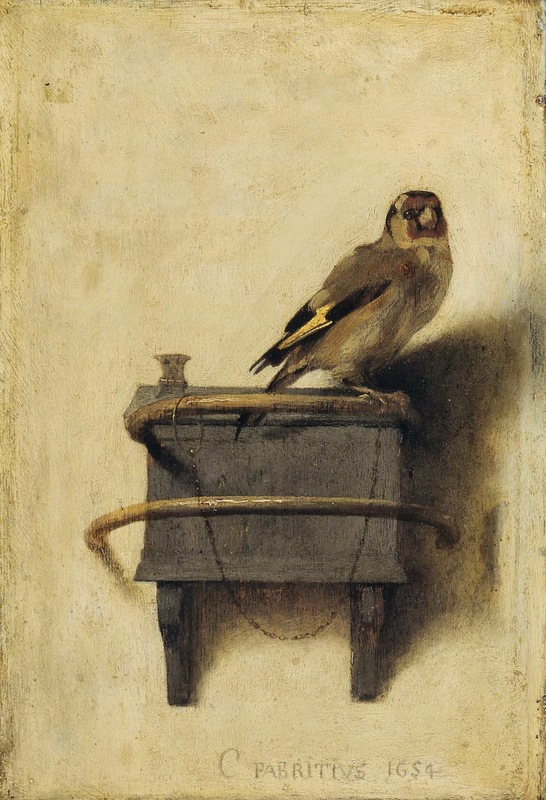 We discussed the way the Goldfinch in the painting is chained up… and drew a parallel to the way Theo is essentially chained to the painting for most of the story. We thought the reason he couldn't ever let it go was because in his mind it was unalterably connected to his mother, to his affection for her and it was like as long as he kept it safe, his memory of his mother would stay in tact. It was his own personal way of honoring her. We talked at length about the characters in the story and their relationships with Theo. 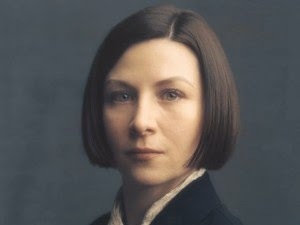 Donna Tartt does an amazing job of making all the characters come alive. Several of the characters were someone's favorite- not everyone liked the same character best, which was interesting. We seemed to have a love/hate thing going on for Boris. 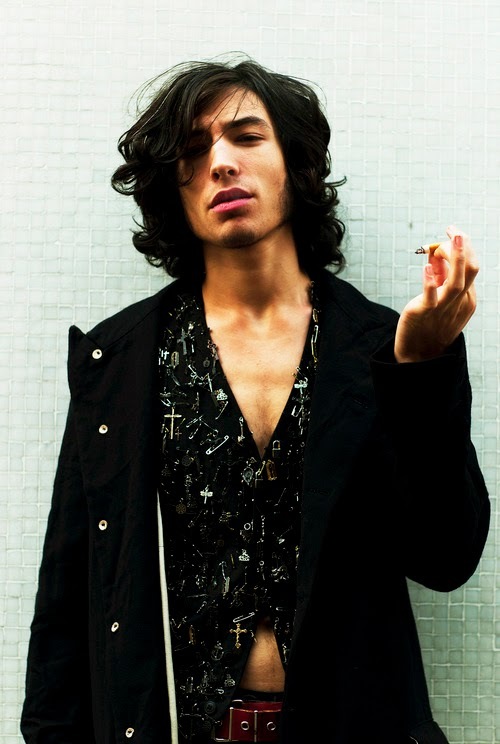 Some of us thought he was the most interesting and enigmatic character and others were so frustrated with his choices and the mess he gets Theo into. But overall we decided our differences in opinion was the mark of a great book because Boris moved all of us to FEEL something. Right after the bombing, Theo has to pick somewhere to go and he chooses the Barbour's. We talked about how such a quick decision changed so much of his life and then we discussed how that has happened in some of our own lives- one small moment affecting everything. We discussed Theo's duplicitous relationship with Hobie and how he didn't want to let Hobie see the darker side of him. We discussed under what circumstances people do that in every day life. We discussed the black and white, or lack there-of, from Bori's point of view, between good and evil. We talked about the guilt factor after everything that happens in Amsterdam and discussed if we would be able to live with the consequences as they were laid out in the book. We brought up several stressful moments in the book and each decided what was the most stressful to us personally. We all agreed that Donna Tartt does an excellent job portraying the dire circumstances in a way that left us needing to turn those pages. The ending is sort of open-ended on several fronts and leaves the reader to ponder many questions brought on by Theo's musings. Some of us felt like the book was an "anti-epic," meaning a whole lifetime has passed but there's not much movement or growth for the character (as there would be in a true epic story), but others disagreed. They felt like once Theo was no longer "chained" to the painting, his thoughts went in a different direction, hopefully towards finally healing from what happened so long ago in the museum. In that way, the way the book ended was the only way it could end- that Theo just needed to release that albatross from around his neck in order to move on with his life. Either way, we are left with some huge questions at the end of the book, about the heart and what it wants, about life and the meaning of love, art, and reality. 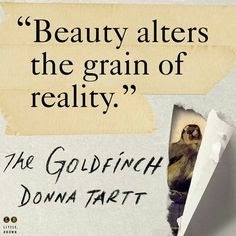 We had amazing discussion of The Goldfinch! Thank you again to Little, Brown & Co. for the books and thanks to everyone who had a hand in making this evening such a special event. And finally a heartfelt thank-you to Donna Tartt for creating such an amazing and fascinating read!